The American Diabetes Association will present the Kelly West Award for Outstanding Achievement in Epidemiology to K.M. Venkat Narayan, MD, MSc, the Ruth and O.C. Hubert Chair of global health at Emory's Rollins School of Public Health, for his significant contributions to the field of diabetes epidemiology. Supported by an unrestricted educational grant from Merck, the award will be presented at the association's 75th Scientific Sessions on June 5-9, 2015, at the Boston Convention and Exhibition Center in Boston. Narayan is an internationally recognized physician-scientist who specializes in epidemiology and prevention of diabetes, obesity and vascular diseases. He designed the first lifestyle intervention trial in the Pima Indians and was actively involved in early conceptualization of the Diabetes Prevention Program. He has been an investigator in a number of large, multi-center, national and international studies of diabetes (TRIAD, DPP, ACCORD, SEARCH, and CARRS). His career has spanned three continents over the last two decades, and has included posts at the National Institute of Diabetes, Digestive and Kidney Diseases and the Centers for Disease Control and Prevention (CDC). "I am extremely honored to be presented with such a prestigious recognition," says Narayan. "The American Diabetes Association has established a tremendous footprint in the field of diabetes research and awareness. I am humbled that my contributions are being recognized by such an outstanding organization." 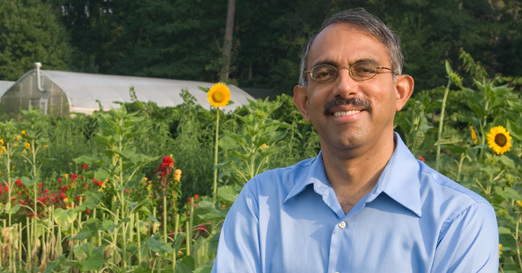 Narayan directs the Emory Global Diabetes Research Center, and continues to consult for the World Health Organization, the World Bank, the International Diabetes Federation, the National Institutes of Health, CDC, the Institute of Medicine and various governments, where he translates science into policy. With more than 330 publications, including several high-impact, seminal studies, his body of work exemplifies his leadership and significant contributions to diabetes epidemiology. Narayan will also deliver the Kelly West Award Lecture, "Type 2 Diabetes—Why We Are Winning the Battle, but Losing the War" on Sunday, June 7.